Given the final arrival of spring (or did we just skip to early summer? 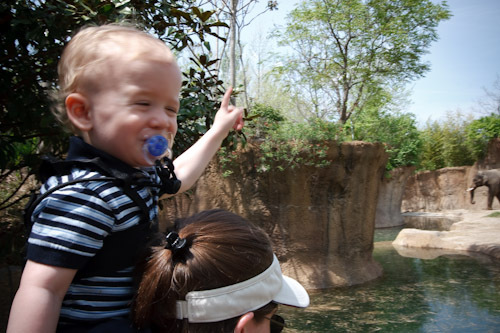 ), we decided to take a day trip to the St. Louis Zoo. So after eating breakfast, we loaded up the van and headed south. 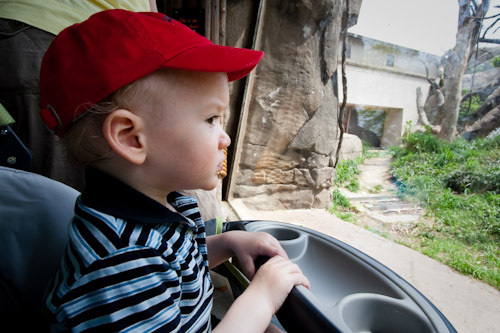 Upon arrival, we were greeted by quite a bit of traffic in Forrest Park and lots of zoo-goers. Not too surprising for such a nice day, but it still felt like parking at the Arch would have been closer. David got to get up close and personal with a few of the animals, starting off with a few monkeys. 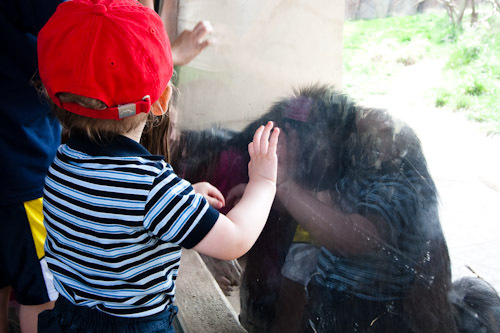 Good thing that glass was there – that monkey would have been missing a handful of hair if not. After that encounter, he was on the lookout for animals! We had lots of fun, and look forward to going back. In fact, we purchased a family membership – so we WILL be going back. More photos available.